Check out our latest Updates, Events and News below!! 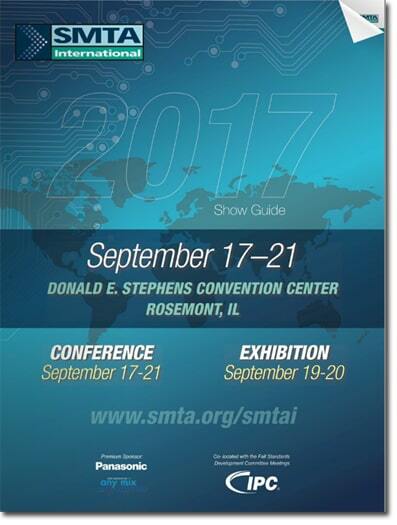 Photo Stencil’s technology focus has evolved with the industry and is now directed at the most advanced and challenging stencil applications. The use of stencils is no longer confined to just the PCB industry or laser formed stencils. They now contribute significantly to the semiconductor assembly process and are made of new materials, in clean rooms, and often using laser direct imaging. Photo Stencil has pushed innovation to achieve stencils that accommodate high density interconnects and complex boards. 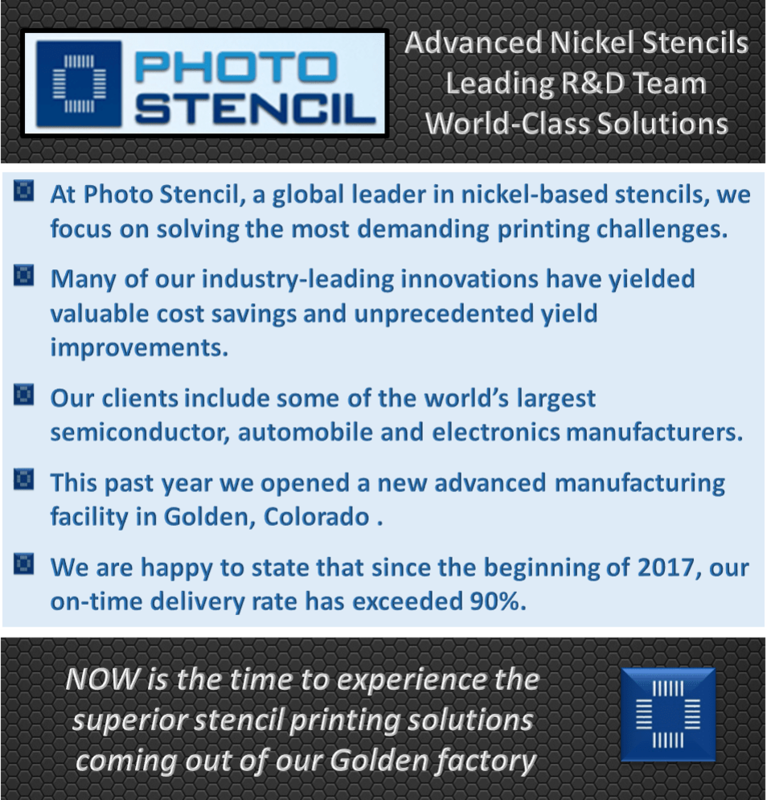 At Photo Stencil, a global leader in nickel-based stencils, we focus on solving the most demanding printing challenges. Photo Stencil has been the premier supplier of stencil printing solutions to the electronics assembly and semiconductor markets since 1979. Photo Stencil is the only domestic provider of the most complex paste, flux, epoxy and special materials printing solutions. We design and manufacture high-performance stencils, shadow masks, and tooling for the surface mount assembly, semiconductor, defense and many other industries. Our innovations include the patented AMTX E-FAB® electroformed stencils, high-performance NiCut stencils, precise AccuScreen stencils and many other stencil printing solutions. Our customers include some of the world’s largest semiconductor, defense, automotive, medical device, and electronics manufacturers. Why do you no longer offer your standard laser-cut stainless steel stencils? The stencil printing market has evolved over the past few decades and new product designs are demanding higher precision printing solutions. To address the next-generation design needs of our customers, Photo Stencil is investing in new facilities, new equipment and new R&D resources focused on developing industry-leading innovations that generate high-value cost savings and produce unprecedented yield improvements in advanced applications. Fortunately, there are now a large number of stencil manufacturers that can produce stencils to meet the less-demanding, legacy printing applications. What separates Photo Stencil from its competitors? Our ability to solve the most demanding printing challenges of our customers. This comes from having the most accomplished R&D team, the most advanced facilities, and the most experienced CAD, Engineering and Production teams. Photo Stencil delivery times typically range from one to seven days depending upon the complexity of the job and the volumes required by the customer.